Malawi is a booming mobile telecommunications market. From about 300.000 subscribers a decade ago, the subscription has rapidly grown to an impressive 5 million. With the country’s total population estimated at 14 million, this means over 30% of Malawians own a mobile phone and the number is growing. A decade ago a mobile phone in Malawi was a symbol of opulence, a privilege to a few people who could afford the high calling tarriffs and higher denomination recharge vouchers leaving the majority on the other side of communication gap. Today mobile phones are a common sight even in the remotest parts of the country, thanks to huge investments by mobile operators. Malawi has two active mobile phone operators which are Airtel and TNM. Together they have a combined 5 million customers. The soaring number of subscribers has been due to operators’ investing in erection of Base Transmitting Towers across the country and coming up with the heavily subsidized Ultra Low Cost (ULC) handsets made by Chinese corporations like ZTE and Huawei which cost a little more than €10. According to Saulos Chilima, Airtel Malawi’s Managing Director, his company invested over $120 Million in the past three years on network and customer expansion programme which has seen the Pan African mobile operator erecting Base Transmitting Towers in 100 new locations many of which are rural areas thereby reaching up to many rural untapped markets. While there has been a significant rise in the overall number of mobile phone users, customers have largely complained of higher calling rates which has resulted in subscribers being economical with their phone manners like making their calls as short as possible and resorting to beeping or flashing. It is in response to this observation that the operators have come up with inventions like “Yabooka” (Crazy Cheap). This is Airtel’s scratchcard which gives 1 minute on-net talk time at 20 Kwacha ($0.05 or €0.04). To compare this with 66 Kwacha ($0.17 or €0.12) standard rate, this has been a lifeline to many who have this scratchcard to be at least affordable. maintaining two handsets with different service providers so as to maximize on benefits from operators. The advent of mobile phones has made services which were for the elite a decade ago, to be accessed by everyone and anywhere as long as they are connected. Of late, there has been even an upsurge in internet usage among the youths and urban working class thanks to mobile devices. According to Malawi Communication Regulatory Authority (MACRA), Malawi has 900,000 users many of whom access it through mobile phone. Both Airtel and TNM offer 3G and mobile broadband internet service which can be accessed in most parts of the country, however, most users are the urban youths who are understandably adventurous and eager to embrace new trends. The availability of internet on mobile devices has greatly transformed some sectors in terms how they work, one such sector is journalism. While long ago, journalists had to wait until they reached the newsroom to compile a story, the situation is different nowadays with reporters sending stories and pictures on their mobile devices from the scene of an event. Watipaso Mzungu is a seasoned journalist and he says mobile internet has simplified his media work as he is able to work regardless of wherever he is, as long as he is connected via his Blackberry smartphone. The coming of internet access on mobile phones has seen the increase of citizen journalism aided by the social media like Facebook and Twitter which in the end has enriched media as issues that could not make it in the mainstream media are given a platform. According to a recent study by the Bankers Association of Malawi, only 1% of Malawians have bank accounts. This could be attributed to the fact that financial services are largely accessed in urban areas only leaving out the rural majority. However, all this is set to change with operators coming up with Mobile Money Systems. 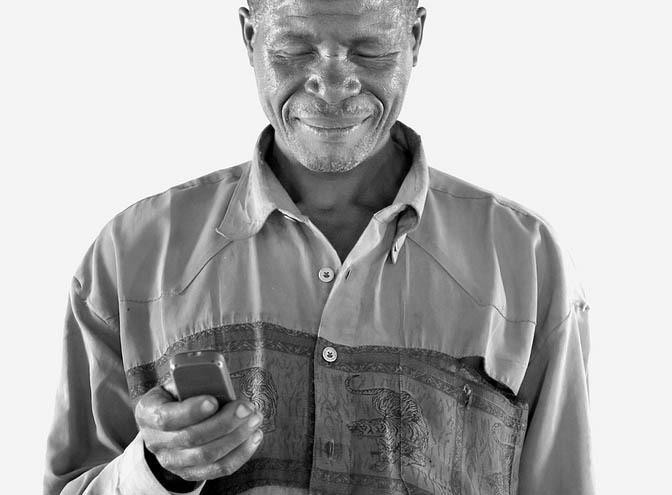 This is an innovative way where subscribers of a mobile money service are able to send and recieve money anywhere within Malawi in a safe, convinient and effective way using their handsets irrespective of whether they are banked or unbanked. The service was first launched by Airtel in 2010 before rebranding it in 2012 with a local catch word ‘Khusa Mmanja’ which means Cash at your fingertip. According to Airtel Money Country Manager, Andrew Santhe, so far the service has over 200,000 registered customers. It used to cost me a lot of time and money to travel all the way to Blantyre city just to remit money to my parents in Mangochi. However, with the coming of mobile money, I am able to do all this here in Lunzu. Deogracias Benjamin Kalima lives with his wife and daughter near Lunzu, Malawi. 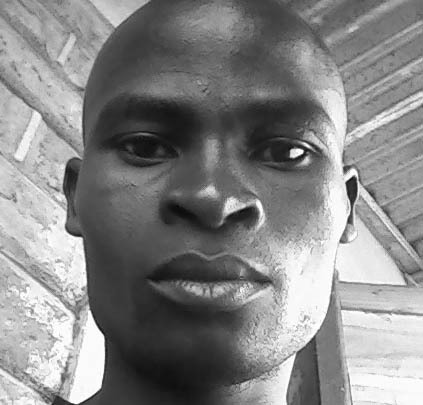 He is striving for a professional career as a journalist and eufrika.org author Luca Vogel is currently trying to raise funds for Deogracias to make a diploma in media studies. Click here for more information and read how to support Deogracias.